It's Mental Health Awareness Week this week and it's very close to our hearts at Aberdeen Wanderers RFC. Suicide is the biggest killer of men under the age of 45. In Scotland two men take their own lives every day! Just remember that if you're worried about yourself or someone you know there is always someone to contact. 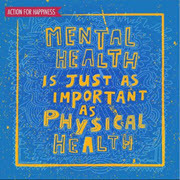 We have created a webpage that has helpful links and information to help you, take a look at it [url=http://www.aberdeenwanderers.com/a/mental-health-awareness-52256.html]here[/url] Also, take a look at The Mental Health Foundation website [url=https://www.mentalhealth.org.uk/campaigns/mental-health-awareness-week]here[/url] There is always someone to talk too. Aberdeen based Kenny Lyon Consulting specialises in property investment, industrial and office agency, rent reviews and asset management. With more than 30 years commercial property experience working with national and local companies and individuals, Kenny Lyon established his consultancy in March 2016. Kenny Lyon Consulting will act for start-up companies seeking their first property to property companies acquiring multi-million investments. It also works with clients in renegotiating lease terms as existing leases come to an end. In good and bad market conditions, Kenny Lyon Consulting can help maximise the potential of a property portfolio or help dispose of surplus property, acquire more cost effective space, renegotiate existing lease terms and acquire investments at competitive prices, ready to take advantage of the next upturn. Aberdeen Wanderers Rugby Club has gone from strength to strength this year and we were happy to hear of their promotion to Caledonia League Division One. We are delighted to sponsor and be associated with the club and wish the team every success for the year ahead. Scientific Drilling International (SDI) is an independent service provider offering complete, high accuracy wellbore navigation and drilling solutions. Scientific Drilling International is globally positioned to support a wide range of markets including the Oil & Gas, unconventional resources, Geothermal, and Mining Industries. 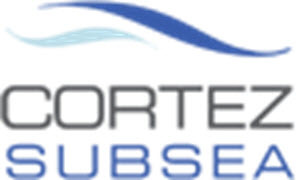 Focused on Advancing Technology and Maximising Value, Cortez Subsea is an enabler of subsea pipeline, inspection and intervention solutions for the oil and gas industry. We bring together subsea services, technology products, project management and engineering capabilities focused at providing solutions that are innovative and cost effective for the client. Providing rigid and flexible subsea pipelay, decommissioning, subsea inspection and intervention services together with our trusted partner companies we are able to work closely together and share innovations and expertise, we can bring real benefits to our clients. Specialising in the Upstream Oil & Gas sector, Saltire Projects has been providing Claims / Dispute Avoidance & Resolution, Contractual, Legal Review, Commercial and Project Controls services to the Construction and Engineering industries on a consultancy basis since 1998. Saltire is delighted to continue its support of Aberdeen Wanderers RFC by sponsoring the Senior Section's match shirts.